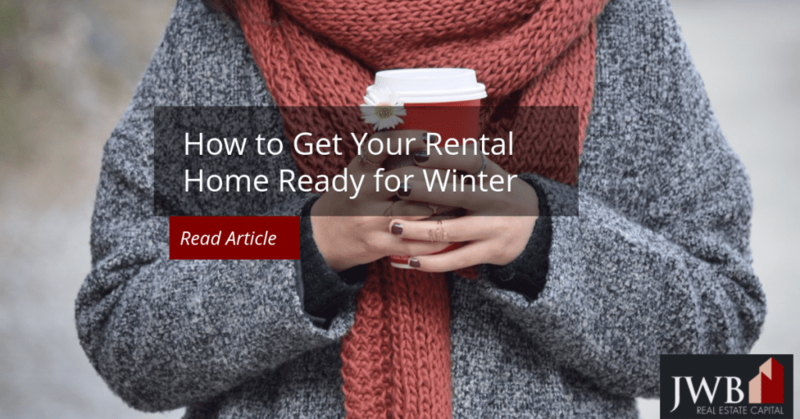 Even if you own property in the South (where it sometimes seems like winter is the shortest season), it still takes some preparation to get your rental home ready for winter and cooler weather. The furnace and plumbing require attention, and the cooler weather is the perfect time to get caught up on home and yard maintenance. Schedule routine maintenance for the home’s HVAC system. It will run more efficiently, have fewer breakdowns and use less fuel. It’s important to have a gas furnace professionally serviced annually. The HVAC technician will adjust and clean all the parts, and verify that all the safety switches are working properly. He or she will measure the flue gases for carbon monoxide (CO) and adjust the flame for the correct gas to oxygen ratio. Heat pumps work hard year-round and having it serviced annually will extend its lifetime. If your tenants are energy-conscious, you might have the HVAC technician install an intelligent recovery thermostat designed just for heat pumps that prevents its emergency electric coil from turning on. This coil uses at least three times the electricity that the heat pump does for heating. Such a thermostat is also programmable, which helps upgrades the energy efficiency of your rental. The frequency of fireplace use dictates how often it needs cleaning. Three times a week and more constitute heavy use and it should be cleaned annually. If it’s used once a week, clean it every three years. If it’s never used, it won’t need professional attention, unless the chimney isn’t covered with bird-proofing. Finding a fireplace specialist may be challenging in Jacksonville, but professional property management companies have lists of trusted contractors and suppliers. They keep complete maintenance records that remove all doubts about if and when winter preparations were completed. Locate the water shutoff valve. You may need it if the property will be vacant during the winter and a hard freeze is forecast. It’s also a good idea to provide the tenants with frost clothes to drape over the outdoor faucets and swimming pool pump in the event of a prolonged cold snap. Unless you overseed the lawn with cool-weather grass, the less you do for the lawn, the better. The warm varieties of lawn used in Jacksonville go dormant in the winter and brown lawns are normal. They don’t need much watering and shouldn’t be fertilized until the weather warms in March. The grass should be kept between 2 and 3.5 inches. Schedule pruning for February, just before the weather starts to warm. As a general rule, citrus should never be pruned. If you must, ask the tree trimmers to gently shape the trees, leaving the crown intact, and remove only dead wood. Roses and crepe myrtle can be pruned in February. Anytime during the winter is a good time to schedule an attic inspection or do it yourself. Look for areas of dirty insulation that could indicate ductwork leaks. If you see black areas, check for mold or mildew that could be a sign of water leaks from the roof. Make a roof inspection a priority if you see mold or any other signs of water leaking into the attic. Torn underlayment or missing shingles are often the source of water leaks. Winter is Jacksonville’s driest and coolest season when it’s perfect for upgrading or repairing roofs. After the leaf drop is over, clean the gutters. If the rainwater doesn’t drain thoroughly, you may develop moisture problems along the foundation or near the fascia close to the clogged gutter.